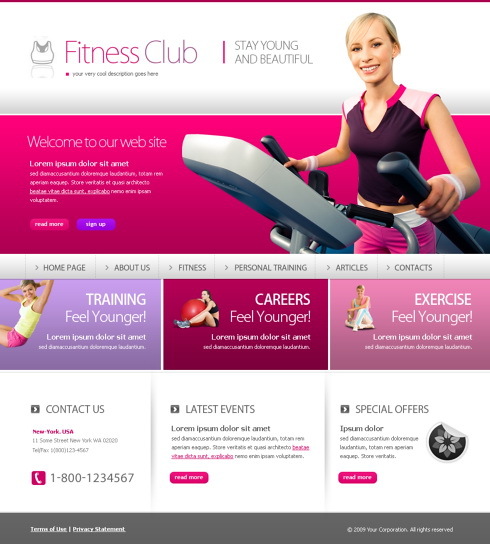 Free XHTML Website Template – Sports & Fitness | Free Web Templates | All Free Web Resources for Designer - Web Design Hot! This entry was posted on Wednesday, October 7th, 2009 at 9:32 pm and is filed under Free Web Templates . You can follow any responses to this entry through the RSS 2.0 feed. You can leave a response, or trackback from your own site. Woow, this blog is absolutely wonderful! Thank you for sharing this great articles. I also got a blog about fitness-information wich mainly provide you information about fitness. I hope you visit my site soon so we could trade some information. Ones again, thank you for your amazing articles! i can relate to some of the things in this article. Also can you reupload the pix because they seem to be broken!